With the recent expansion of legislation permitting the production, sale and use of marijuana for medical purposes, employers should begin to think about crafting a policy which addresses medical marijuana use in their workplace. For example, the smoking of regular cigarettes is not permitted in buildings or near entrances and exists to buildings. Employees who want a smoke usually need to head further afield during their breaks. But is it proper to ask the same of employees who are smoking medical marijuana and may have a disability? Is it proper to make them smoke in the presence of others, so that their disability is no longer a private matter? Is it proper to have regular smokers ingesting medical marijuana smoke if all smokers are required to smoke in the same area? Should a designated room be provided on the premises in which medical marijuana users can smoke on a private and confidential basis? What rules will apply to the employee? Should he or she be required to cease working and report to a manager in the event of feeling unwell after medicating? Should he or she be required to refrain from operating a motor vehicle or machinery for work purposes after medicating? What documentation will be required from the employee’s treating healthcare professional? 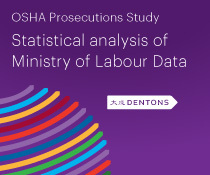 What steps will be taken by the employer in order to ensure that the needs of the employee are being met, without compromising the employee’s ability to perform his or her job, or the safety of the workplace? Who at the company must know about and approve an employee’s use of medical marijuana in the workplace? What steps will be taken in order to otherwise keep that information confidential? There are no guidelines in place to assist employers with drafting policies such as this, although reference to policies which provide for accommodations to disabled employees may be a good starting point. The important thing for an employer is to be aware of the fact that it is best to have a policy in place in advance of these questions being raised by an employee seeking to medicate at work, and that we can assist with ensuring that your workplace policy strikes the proper legal balance with respect to meeting the needs of all potentially affected individuals. 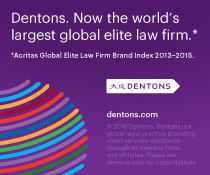 This article originally appeared on the Dentons blog, employmentandlabour.com.